New for 2020, the 3rd generation of the Kia Soul is well equipped, well designed, and most importantly — fun. The new Soul will offer two different engines: a 2.0-liter 4-cylinder that makes 147 horsepower and a turbocharged 1.6-liter GDI engine that makes 201 horsepower. The 2018 Nissan Kicks makes a great vehicle for first-time drivers, empty-nesters, and young couples, thanks to its very affordable price. Under the hood is a 1.6-liter 4-cylinder engine that makes 125 horsepower and 115 lb-ft. of torque. As for fuel economy, the Kicks averages 31 MPG in the city and 36 MPG on the highway. Undecided about what small crossover to buy? Automotive expert Nik Miles is here with some advice for Meagan, mother of 3, who is looking to get out of her old minivan and into a new vehicle. Her test drive options consist of a 2018 Toyota RAV4 Adventure and a 2018 Nissan Rogue Sport. Meagan is looking for something inexpensive, packed with technology, and safe — especially because her teenagers will be driving this vehicle as well. The 2018 Volkswagen Tiguan is all grown up - it's now available with a 3rd row of seating and lots more room inside. Ranging in price from $24,595 for the S base model up to $37,550 for the SEL Premium AWD model, the Tiguan is ready for the competition in a very crowded segment. Under the hood is a 4-cylinder TSI engine that makes 184 horsepower and 220 lb-ft. of torque. Backing the engine up is an 8-speed automatic transmission. Fuel Economy checks in at 22 MPG in the city and 27 MPG on the highway. The brand new 2019 Toyota C-HR is the most exciting vehicle we have seen from Toyota in a long while. Initially, the C-HR was to be sold under the Scion brand, which is why the styling is so unique. Starting at $23,460 for the base model XLE, you get a 2.0 liter 4-cylinder engine that makes 144 horsepower and 139 lb-ft. of torque. Fuel economy averages are 27 MPG in the city and 31 MPG on the highway. If you live an active lifestyle or need all-wheel drive for tough weather, the 2018 Subaru Crosstrek is a great choice. 2018 marks the debut of the second-generation Subaru Crosstrek and prices range from $21,795 for the base model up to $26,295 for the Limited Trim model seen here in this video. Under the hood is a 2.0-liter flat-four engine that makes 152 horsepower and 145 lb-ft. of torque. Transmission choices consist of a 6-speed manual or a CVT. The Crosstrek also comes with the symmetrical AWD system. Fuel economy for the CVT models checks in at 27 MPG in the city and 33 MPG on the highway. The 2018 Mazda CX-3 compact crossover is fun to drive, well-built, and inexpensive. 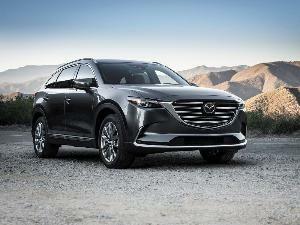 Prices range from $20,110 for the sport model up to $26,415 for the Grand Touring with all-wheel drive. It competes with the Toyota C-HR, Honda HR-V, Jeep Renegade, Ford EcoSport, Hyundai Kona, and the Nissan Kicks. Under the hood is a SkyActiv 2.0-liter 4-cylinder that makes 146 horsepower and 146 lf-ft. of torque. Fuel economy checks in at 29 MPG in the city and 34 MPG on the highway. All-wheel drive models see a 2 MPG reduction. The 2018 Hyundai Santa Fe Sport is a compelling choice in a highly competitive segment. Solid performance, a lovely interior, a full suite of technology, a 100k mile warranty, and excellent safety ratings are all reasons why you should test drive this crossover. 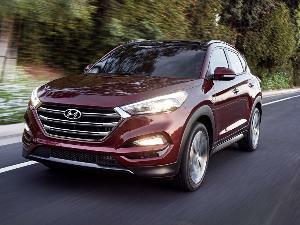 The 2-row Santa Fe Sport sits between the smaller Tucson and the larger 3-row Santa Fe in Hyundai’s crossover SUV line-up. Prices range from $24,950 for the naturally aspirated 2.4-liter base model, up to $37,200 for the top-of-the-line 2.0-liter Turbo Ultimate AWD tested here. The 2.0t is powered by a turbocharged 2.0 liter 4-cylinder engine that makes 240 horsepower and 260 lb-ft of torque. 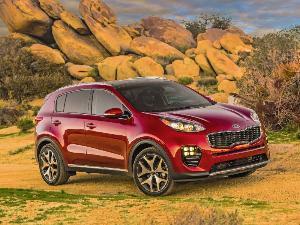 Fuel economy for this AWD model is rated at 19 MPG in the city and 24 MPG on the highway. The Hyundai Kona is a new compact crossover for 2018 and offers top-flight connectivity, funky styling, and a great price. Prices range from $19,500 for the base SE trim up to $28,700 for the Ultimate model. 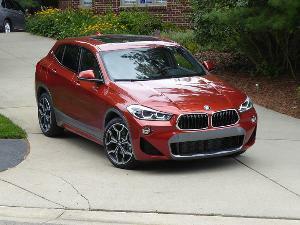 Competitors in the compact crossover segment include the Nissan Kicks, Buick Encore, Subaru Crosstrek, Chevrolet Trax, Toyota C-HR, Mazda CX-3, and the Honda HR-V. Under the hood, there are two engine options. 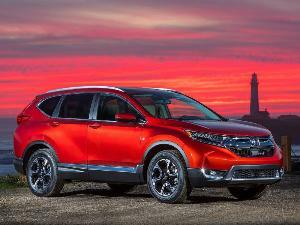 The first is a base 2.0-liter 4-cylinder that makes 147 horsepower and 132 lb-ft. of torque. Step up to the higher level trims and you get a turbocharged 1.6-liter GDI 4-cylinder engine that makes 175 horsepower and 195 lb-ft. of torque. Fuel economy for this particular model is 26 MPG in the city and 29 MPG on the highway. While 2018 marks the first time we have seen the Ford EcoSport here in the United States; this compact crossover has been available abroad for many years. Prices range from $19,995 for the base S model up to $27,240 for the Titanium AWD model. There are two engine choices; the first is a 1.0-liter EcoBoost 3-cylinder and the second is a naturally aspirated 2.0-liter 4-cylinder. The engine seen here is the 1.0-liter which makes 123 horsepower and 125 lb-ft. of torque. Fuel economy is rated at 27 MPG in the city and 29 MPG on the highway.